I live in a great neighborhood. It’s relatively peaceful. Sure, from time to time there is excitement and I may need to call the police on someone causing mischief, but I rarely ever feel like this neighborhood is dangerous. It’s a great neighborhood for raising my kids. The church building where I preach on Sundays and Wednesdays is in this neighborhood. I find this to be super convenient, but as I look at the demographics of our church membership I see very few people who come from within our neighborhood. I know my next door neighbors. I know the family across the street and a few doors down from them too. I know a few of the neighbors behind the church building by name. Yet, I don’t have a real, meaningful relationship with any of them. I feel pretty convicted about this. You see, this church has functioned from this location for many many years. I’m not sure how many preachers were here before me, but our congregation is mostly made up of people who live outside our neighborhood and even our town. As Christians, we are called to live in the world around us in such a way that people know that Jesus is the messiah. We aren’t called to be people who shrink back in fear or even in routine and make excuses for why we don’t know our neighbors. I believe that if a church has a building then the primary mission field of that church should be the neighborhood the building is located within. Each member should be missionaries within their own neighborhoods as well, but if the church doesn’t have a good relationship with its neighbors, then what kind of message does that portray? Some of you may know people who live in the neighborhood around the church building. Some of you may even live in this same neighborhood. What can you do to enhance our ability to reach out locally? What should we do as a church to help you reach your friends and neighbors? Cities aren’t taken for The Lord without strategy. When Jesus sent out the apostles after the resurrection, He told them they would be His witnesses in Jerusalem (where they currently were), in Judaea and Samaria (the outlying towns and regions), and to the ends of the earth (Acts 1:8). As a church, we should follow the same pattern. We should be intentionally engaging the neighborhood where our facilities are located first. Then we should move into other neighborhoods in the town where our congregation gathers. After that, when that town is reached, we should move into other towns. When all of that is done, then we should be sending out people to far off regions. Engaging our neighborhood doesn’t mean door-knocking either. It means living and working and functioning within that neighborhood in such a way that relationships are built and love is shown. It is not engaging in handouts; it is inviting people into community. Engaging a neighborhood means you’re loving your neighbor with no strings attached. When they see your intentional, counter-cultural way of love, they’re going to want to know why you’re like that. Then you have been invited by them to tell them of the One who loved you first, Jesus Christ. So, here’s our situation. We are a church that isn’t truly engaging our neighborhood. That wasn’t Jesus’ plan for us. How can we make a change here? 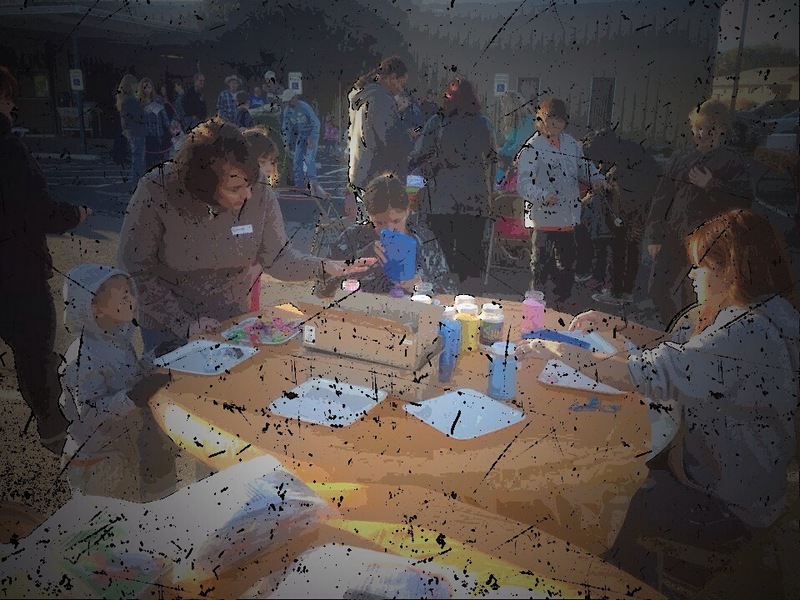 The Aztec church of Christ puts on a block party once a year, and that is gaining popularity. What else can we do to truly engage on personal levels to love our neighbors? We are a church trying to love God, love others, and be like Jesus. So let’s start taking steps to truly do these things. Do you have an idea on how to reach out to the neighborhood around our congregation? Maybe you’re reading this online and you have ideas for how to begin this where you live. Talk to your pastor(s). But don’t just give suggestions; volunteer to help make those suggestions a reality. To win a city you begin with a neighbor. I went fishing this morning. I love to fish. I’ve fished in huge lakes and small streams. I’ve fished on the beach and out at sea. I’ve fished in bayous and bays and in between. I love to fish. I’m not too worried about the fish. I’m not worried that they’ll like me. I just want them to like what I’m presenting to them. But if they reject it like they did this morning, it’s ok. I still love to fish. I wake up early and stay up late to fish. I travel long distances and walk across the road to fish. I’ve fished in the heart of cities and up on mountain sides where there is just granite and water. I’ve fished in drainage canals and snowmelt streams. I’ve fished in water where you can’t see anything below the surface and water where you could see the bottom 30 feet down. I love to fish. I love to fish. I’ve fished in homes and corporations. I’ve fished in malls and banks. I’ve fished in churches and bars. I love to fish. I’m extremely worried about these fish. But I’m not worried that they’ll like me. I don’t fish to please them. I’m fishing to save them. My message won’t change. It’s just what they need. And when they reject me I realize it is not me they’re rejecting but the One whom the message is about. I still love to fish. I wake up early and stay up late to fish. I’ve stumbled upon fish walking along my day and been woken up in the middle of the night to fish some more. I’ve fished across the street and in other countries. I’ve fished online and face to face. I’ve fished for fish that were injured and hurting and for fish who thought they had it all together. And what I’ve found is that no matter what type of fish or where they live they all are in desperate need of what I fish with. I love to fish. Do you love to fish? Have you been caught by the One who brings life everlasting? If so, He is wondering when you’re going to start fishing. You have been called to be saved from yourself by the only One who died for you. Then you have been called to tell others about your salvation and how it is offered to them too. Are you afraid to do that? It’s quite common to be afraid, but fear can be conquered. If you want to know more about how to share your faith with others, then let me know. I’d love to help you. If you’re still a fish waiting on that salvation, I’d love even more to let you know about this offer of salvation to which I’m referring. I love to fish. 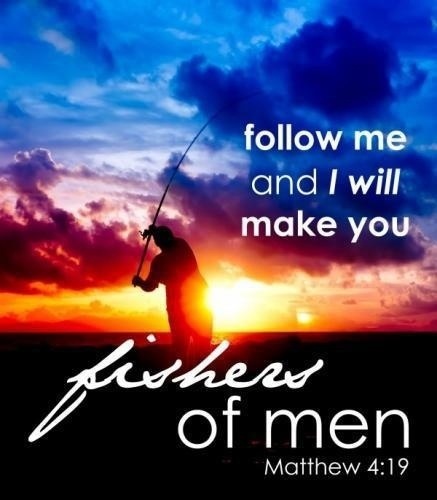 Jesus called me to be a fisher of men. Let’s fish together. Have I ever mentioned that I hate the industrial revolution? There has not been a time in history that has done more damage to the family than the industrial revolution. Before the I.R. The home was the center of commerce. Families lived in generally the same area often times having several generations within the walls of the same house. Consumerism wasn’t nearly the problem it is today. Society was primarily rural, and the father was the leader of his home. Children were raised in the home and boys were trained by their father to take on the family trade. Girls were trained by their mothers and grandmothers how to be good wives and mothers. Men and women contributed to society but did so from the home. Then came the industrial revolution and the rise of shift work. Men were taken from their homes and required to work in jobs miles from home. Communities became more and more urbanized. Children were trained in schools, and families began to rely on those schools to raise their children. There has never been another time in history when the family unit as a way of life has taken such a devastating blow. As I think of how the industrial revolution changed the functionality of the family unit, in much the same way the church building has changed the functionality of the church. 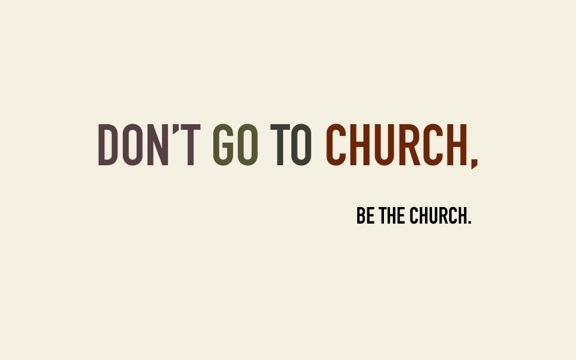 I must make it clear right off the bat: the church is the people who follow Christ; it is NOT the building. Before the church building became the center of Christendom, the Christians functioned in the towns and villages around them. Towns and villages were much more tightly knit, so when someone was converted to Christianity the entire town heard the message not only of the conversion but also of Christ Himself. The people weren’t so focused on Sunday morning that it was their end-all to their Spiritual activity for the week. Christians were about living daily for their savior. They were evangelizing daily to whomever they came in contact with. Christian was what defined them – it was not merely one of many tags they wore. Then came the church building. As church building were built evangelism slowed. In fact, nowadays most churches do very little evangelism outside of their church buildings. They work hard to find the best preachers and teachers or to provide the best, most inspiring worship so that they can draw people in to the buildings. This was never supposed to be the way of the church. In fact, Sunday morning worship times weren’t even originally for “seekers”. It was for Christians. Another development from the culture of the church building is that they generally place the preachers and pray-ers up front on some sort of risen platform. This gives the notion that those who are “leading” in the assembly are somehow better or more spiritual than those sitting in the pews. My brothers and sisters, this is not so! The preacher is not better than you. God shows no favoritism. We are all broken people saved only by the grace of our Lord, Jesus Christ. An elder or priest has no higher place in the kingdom of God. They are brothers and sisters of Christ just as I am. This brings me to another thought. When did the church begin the idea of “leading” so many things anyway? There were preachers in the first century, but when did the people stop praying and start relying on some “leader” to do that for them? I think that this is yet another result of our building-focused church mentality. So, what do we do? It’s time to take back the neighborhood for Christ. It’s time for Christians everywhere to get back to evangelism. This is not about coercing someone into attending a service. It is about introducing people to the One who can save them from their sins. Only when we get out of our buildings and into the neighborhoods will communities be changed for Christ. Only then will the kingdom once again forcefully advance. You do not have to wait on your minister or pastor or elders to get this started. You can start this today by merely talking to the person in the next cubicle or your next door neighbor. Then, in the midst of conversation and relationship you make sure that Christ becomes the focus. Do this in the context of love and passion for Christ and what He has done for you, and I guarantee that people will listen. They may not all respond, but your job is to plant seeds everywhere you go and let God give the increase. You and I can never convert anyone. Anyone who says they can convert people is an egotist. Only God changes the hearts of men and women. We are merely his mouthpiece, so all glory goes to him. May you have a new look at what it means to be the church. May your neighborhood be taken for the kingdom of God, and may the whole world be changed because you got outside of your church building and told people not about how great your church is, but about how great your God is. God bless you, and if you need anything or would like to talk about this more, feel free to contact me at jddobbs@verizon.net or at the office at 245-1611. Have a wonderful holiday, and take back the neighborhood!